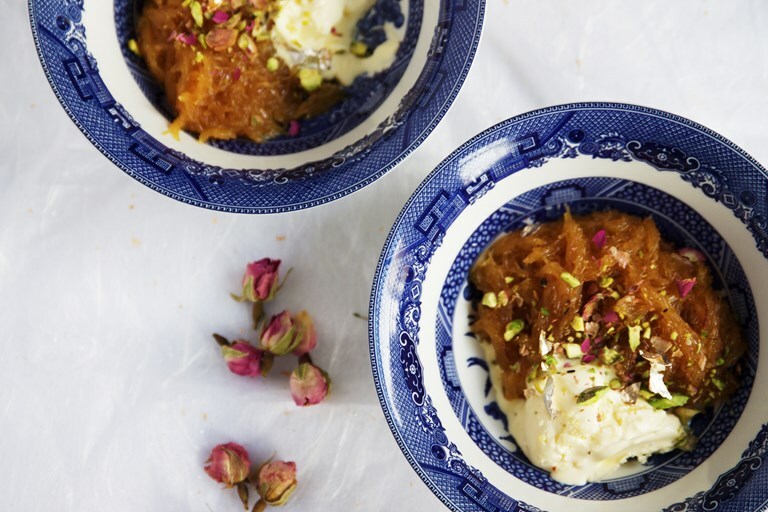 Light wheat vermicelli, pistachios and cardamom make a comforting finish to any celebration meal, and Sumayya adds a British touch to this traditional Eid dessert by serving her Seviyan with clotted cream. Read more about Sumayya's foodie Eid memories in her article. 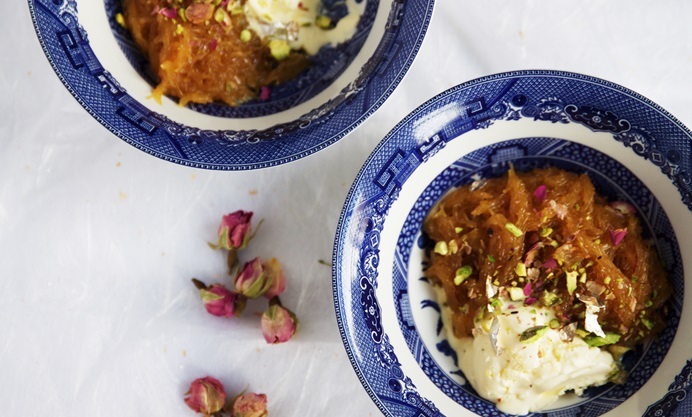 There are many ways to make the quintessential Eid dessert called Seviyan. 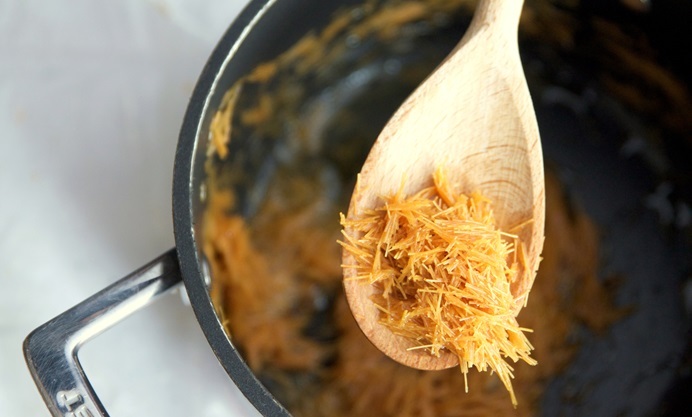 This is a sweet roasted vermicelli which can be made in either milk or water and sugar. The flavour is one that always reminds me of Eid and the excitement it brings. This is my maternal grandmother’s recipe, traditionally served with khoya (milk solids), but I also think clotted cream works equally well, giving it a British touch! For an extra special finish, decorate with some silver leaf.